Mr. Kang has climbed up the ranks of multiple Fortune 500 mutual companies since the inception of his financial services career. A bronze award recipient as a rookie at Northwestern Mutual, Mr. Kang quickly found himself specializing his practice towards small business owners throughout Los Angeles and Orange County. He understood that these small business owners were in pursuit of the “American Dream”, but were in need of an advisor who would help them achieve their financial goals. 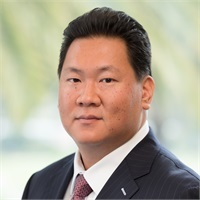 Mr. Kang joined Mass Mutual in early 2010 as Managing Director where he was asked to develop a new office in Orange County. His responsibilities included recruiting and developing new associates as well as running the operations of his office, while maintaining the relationships he had created with his clients. As Managing Director, Mr. Kang qualified for Management Summit every year, a conference recognizing only the top managers of the firm nationwide. Mr. Kang accepted the position of Managing Partner in 2013 of Summit Wealth Management, an affiliate of WestPac Wealth Partners which has numerous offices throughout 3 states: CA, HI, and NV. In a short span of 6 months, Mr. Kang has qualified for the Presidential Citation Award. He has taken his Orange County operation and expanded into Los Angeles and is adamant about creating a culture that is multi-ethnic, creative, diligent, and of highest integrity. Mr. Kang is Life and Health licensed in multiple states and is FINRA series 7,6, 63 registered. He received his BS in biological sciences from the University of California, Irvine. Mr. Kang has always been a sports enthusiast, playing tennis, golf, basketball, as well as being a double gold medalist in the Junior Olympics for Tae Kwon Do. Mr. Kang is an advocate as well as financial sponsor of medical missions in South America and Mozambique, Africa where his father has established numerous schools and churches the past 20+ years. Mr. Kang aspires to continue the medical aid to the villages as well as further education and religious opportunities. Mr. Kang is married to his beautiful wife Katie. Together, they have 2 wonderful young sons who light up their lives each and every day.